While the Internet has made genealogical data available to us without leaving home, many researchers still dream of visiting the old family homestead, or a making the journey back to their ancestral town or village. After all, there's nothing like experiencing your heritage first-hand by walking in your ancestor's footsteps, visiting his or her birthplace, or sitting in a pew in the church where he or she worshipped. It's what I like to call "immersion genealogy." Whether your wanderlust takes you to another state, or across the pond, this article will offer some tips for planning a fantastic family history research trip. Before you pack, you'll need to plan! This applies both to the actual journey and to your research. Take some time to think about what you'll do when you get there and what you'd like to accomplish, (e.g. visits with relatives, time for cemetery exploration and researching in the archives, etc.). A written or typed itinerary can help you maximize your time there. Also, make a list of people you may need to contact in advance (family members, a professional researcher or tour guide, a parish priest, the mayor's office, the director of the archives, etc.). I like to use Evernote and Wunderlist (on my iPad) for these purposes. Once you decide on your destination(s), the earlier you start the planning process the better. If you're still working, you may have to put in your vacation request ahead of time, and take into consideration the schedules of your spouse and children, and also the time of year (airfares to Europe, for example, many be higher in the summer), as well as time required for obtaining the proper travel documents such as a passport or visa if going abroad. You will need to decide if you'll be driving or flying, and map out your stops. If going by air, start searching for fares and flight availability at least six months in advance. Most of us also need to budget for such a trip. Try to set a figure of what you can afford to spend and determine how you will be paying for the trip. Use online services such as Kayak, FareCompare, or Yapta for comparisons. If driving, try Yelp or Trip Advisor (they also have apps for smartphones and tablets). AAA travel services can also offer assistance and discounts. Don't forget to build in allowances for incidentals, such as parking, copying costs, service fees, snacks and beverages, tips, etc. It's usually better to overestimate than underestimate, and if you're frugal, you may have some money left over for a future trip. For small trip expenses, I keep a business-sized envelope labeled "Genealogy Fund" where I toss in my loose change and extra dollar bills throughout the year. It adds up. When I get about $25-$50, I transfer the money to a savings account so that it earns a bit of interest. Google your destination, and check to see if the town or city has its own website, and/or visit the chamber of commerce or visitors bureau page. Map out routes to know how much time it takes to go from point A to point B. Learn about the currency, ATM availability, and local laws or restrictions. It's also important to set some research goals: develop a plan that outlines the "who, what, when, where and whys" of your research, and how you will go about obtaining the information you desire. You may need to make appointments to visit repositories, archives, churches, etc. If your travel takes you to another country, consider hiring a qualified professional researcher or tour guide who knows the area, archival system, and language. During my trip to Slovakia in June 2012, I enlisted the help of a researcher to drive me to one of my ancestral villages and accompany me to the archives. Since English was not always spoken in some of the areas I visited, having him to help translate conversations with the priests and clerks made all the difference. It was definitely worth every penny. Start packing early. You'll need essentials like clothing and shoes, toiletries, and any other personal items you wish to bring along. If you're driving, you may have a bit more flexibility regarding what you pack, but if you're traveling by plane, keep in mind that airline luggage fees and restrictions can make packing for a flight a bit tricky (you may want to forgo the bulky research binders and other heavy items). When possible, try to fit what you need into a legal sized carry-on that you can wheel. Most airlines also let you bring a smaller carry-on item such as a purse, briefcase, or laptop computer. You may also wish to be selective about the electronic devices you take as there is always the risk of losing them or theft. For my trip, I traveled only with my smartphone, digital camera, iPad, and Flip-Pal mobile scanner. Remember to bring along your family tree information in some format--either digital or print so that you can refer to it as you research. Always leave room for items you will acquire while at your destination--those you purchase yourself and gifts you may get from family members. The vision you have in your head for your ideal heritage trip may not always match what you will experience. Sure, we all want those "Who Do You Think You Are?" moments, and with any luck, most of us get to experience them. However, be aware that you may not find exactly what you're looking for, or you could end up making sad, shocking, or unpleasant discoveries. Hopefully, your long-lost cousins will embrace you and share with you all you want to know, but you must be prepared for the possibility you won't find family still living in the area, or to have doors that remain unopened (literally and figuratively). 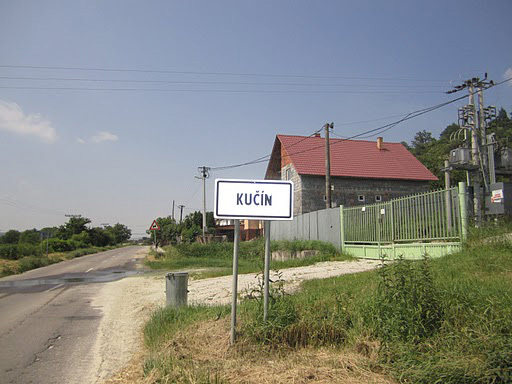 When I first traveled to Slovakia in 2010, I only had time to visit three out of four of my ancestral villages, and I connected with cousins only in two out of the three villages. So, I saved my money, and returned to Slovakia in 2012, with a very specific goal in mind--to get to the village I missed seeing two years earlier. Sometimes unexpected things happen during the course of your journey. Build in some wiggle room--schedule at least a few hours of free time to rest, as well as for unexpected activities, prolonged family visits, or emergencies, such as bad weather, illness, and office closings. During my 2010 trip, flooding affected my hosts' business and impacted the visit to one of my ancestral villages. Also, one of my companions made contact with his relatives at the last minute, and we squeezed in a visit with them before returning our car. 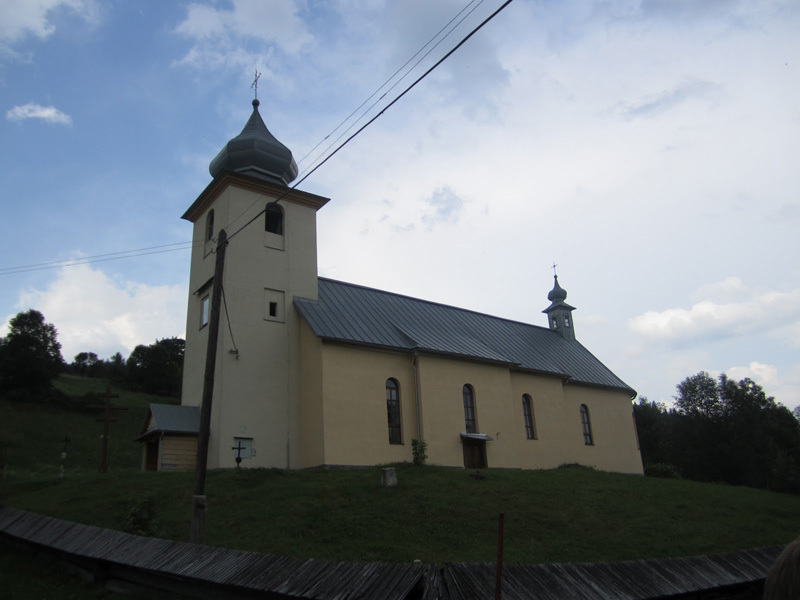 On my return trip in 2012, I had one small window of opportunity to visit with the parish priest in Osturňa--it was in the evening of the day I arrived in the village. In addition, you will need to be especially flexible when meeting relatives for the first time--they may invite you for a meal or want to introduce you to other family members or friends. Some of the best times I had during my trips were the opportunities to enjoy impromptu gatherings and meals that included traditional Slovak food and cultural celebrations. 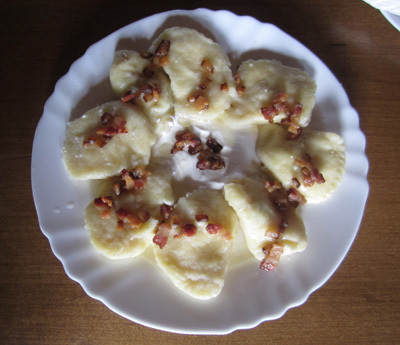 Fabulous pirohy enjoyed in Osturňa, Slovakia! Keeping an open mind is critical. When the unexpected happens, embrace it. Sometimes the outcome can be more than you ever imagined. During a chance visit to the Podolínec records office where I was searching for a marriage record for my grandfather's sister, one of the clerks recognized the family name and said she could introduce us to one of the descendants still living in the village. The woman we met brought out a handwritten family tree that included my grandmother's sister! She worked on it with her cousin, who lived nearby. This cousin had photos that I was able to scan. I felt like I'd won the family history lottery--on the final day of my visit! But, with family history research, you always end up wanting more. For every answer you get, there are at least a dozen more questions. So, have fun and enjoy the moment! If you do get the opportunity to travel to where your ancestors lived, be sure to share your discoveries and experiences with family members. Social media makes it easy to do so this with posts to Facebook, Google Plus, Instagram, Twitter, or via a blog. I wrote about my two trips on my blog The Accidental Genealogist. Friends and fellow researchers were able to follow along with me on my journey. Genealogy should be more than just waiting around for information to come to us. Travel may not be for everyone, but if you have the chance to take a family history trip, you should do it. Sometimes we need to break away from mindset of only online searching and make some heritage happen.